Steve Masters has a rare combination of skills that make him uniquely suited to help your small business, union or nonprofit take your zoning project, local government issue or political campaign to the next level. Steve also served as Council President Anna Verna’s zoning lawyer for over ten years, helping developers and concerned community groups settle their differences and reach community benefits agreements that stood the test of time. When negotiated solutions weren't possible, Steve turned to the courts to win decisive legal victories for his clients. Since launching JustLaws, Steve has scored major victories for his clients. Our client, a nonprofit advocacy group, wanted to stop legislation that had passed 16 to 1 in City Council, a veto-proof majority. The client didn't seem to have any leverage to convince a majority of City Councilmembers to reverse their support for the bill, even if the client could obtain a Mayoral veto. We developed an out of the box strategy. We quickly got the state agency that regulates the city in this area to issue a letter threatening to withhold a significant amount of federal dollars if the legislation were enacted. Once he received the letter, the Mayor vetoed the bill and the bill’s sponsor decided not to attempt an override. The result was a stunning victory for our client. Comcast is the largest corporation in Philadelphia and enjoys unprecedented power with elected officials throughout the city. Our clients were a public access station and a media advocacy organization seeking unprecedented public benefits in a cable franchise renewal which occurs once every 15 years. Comcast made it clear they would stonewall. We developed a winning strategy that involved elevating City Council’s role to be one of the two negotiators for the city. We insured Council’s success by convincing Council to hire a very experienced franchise attorney who shared our clients’s agenda. City Council was able to overcome Comcast’s stonewalling and forced them to agree to significantly expand eligibility to its low cost broadband access program and significantly expand funding for public access. The franchise agreement instantly became a national model and other cities who were in the middle of their own negotiations insisted that Comcast agree to the same terms as Philly. Developers of a new brewpub in Fairmount were refused a zoning permit by L+I in a CMX-2 district because L+I classified their brewery as heavy industrial. Seasoned zoning attorneys at a large law firm were unable to convince L+I to change their interpretation of the Zoning Code, so the developer turned to JustLaws for assistance. JustLaws successfully persuaded L+I to reverse its interpretation of Brewpubs not just in this instance but across the board. L+I reversed its denial and issued the zoning permit to our client as of right, saving the client the expense, delay and uncertainty of an appeal to the Zoning Board of Adjustment. 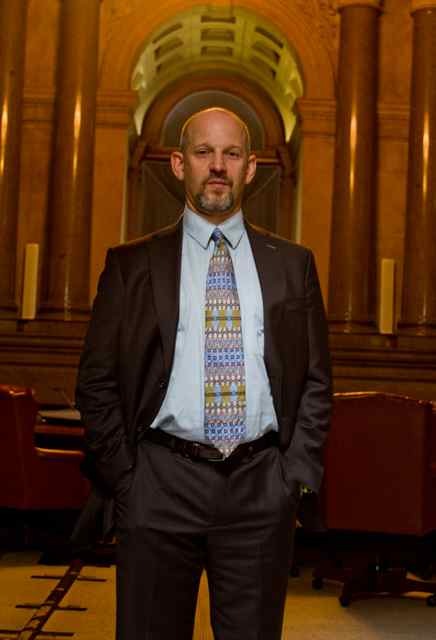 JustLaws conceived, drafted and led Sustainable Business Network's successful Good Economy Challenge, securing strong support for SBN’s legislative agenda amongst candidates for Mayor and City Council in the 2015 Philadelphia primary election, leading to the passage of expanded sustainable business tax credits in 2016 and implementation of a business bill of rights slated for 2018. ​​Steve will draw on his extensive experience as both an inside player and an outside advocate to design and guide your organization’s legal and legislative strategy.